Habitat Native of China; grown in gardens throughout India. English Rose-of-China, Shoe- flower, Chinese Hibiscus. Ayurvedic Japaa, Javaa, Odrapushpa, Rudrapushpa, Arunaa. 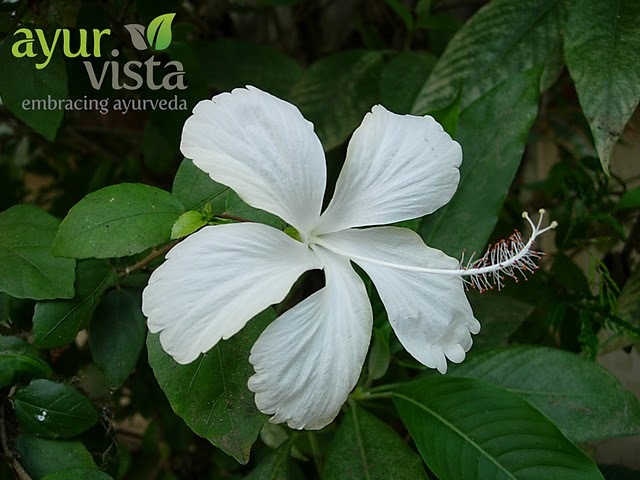 Action Flower—used in impotency, bronchial catarrh. Flower and bark—emmenagogue. Leaf— stimulates expulsion of placenta after childbirth; laxative, anodyne. Flower and root—used in menorrhagia. The plant contains the cyclopropanoids, methyl sterculate, methyl2-hydroxysterculate, 2-hydroxystercu- late, malvalate and beta- sitosterol. The major anthocyanin in the flower is cyanidin 3-sophoroside. The flower nectar is rich in amino acids, mainly aspartic acid and asparagin. During pollination, the amino acid concentration increases substantially. Flower powder exhibited anti-inflammatory activity in male albino rats with carrageenan induced rat paw oedema. 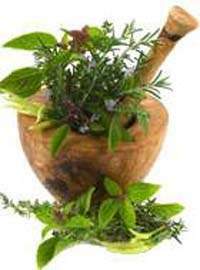 The aqueous extract of the plant showed antitumour activity against sarcoma 180 ascites. An aqueous extract of flowers reduced the duration of oestrus cycle in experimental albino rabbits. The alcoholic extract of flowers showed anti- implantation activity. The benzene extract of flowers, on oral administration, terminated pregnancy in experimental animals. Flower buds are used in the treatment of vaginal and uterine discharges. Oral administration of flower extract to rats affected spermatogenesis and endocrine function of testis. In diabetic patients, a flower bud is given daily up to 10 days or until the level of blood sugar is reduced to tolerable limits. The white-flowered var. of Japan (cultivated all over India in garden) is equated with Hibiscus syriacus Linn. (Rose of Sharon, Shrubby Althaea). The white flower is an oriental drug used as demulcent and antidiarrhoeal. The bud yields mucilage which consists mainly of partially acetylated acidic polysaccharides. The aqueous extract of the petals causes vasorelaxation of the isolated rat arota via both endothelium-dependent and -independent mechanisms. The petals contain anthocyanin pigments. The cortex and bark exhibit antifungal acitivity. The bark gave canthin-6-one and a fatty acid fraction consisting of lauric, myristic and palmitic acids.